The third episode of Rare Breed – A Farming Year was the most watched programme in Northern Ireland at 8.30pm last night with an average audience of 178,000 viewers and a 33% share. We are introduced to three generations of the McGilligan family near Dungiven. They are sheep farmers and are in the midst of lambing 450 ewes. Young Cahir is trying to spot ewes that are about to lamb saying, “I like learning new stuff about them that I know know.” We also see how they manage feeding sheep that are on the Sperrin hills. 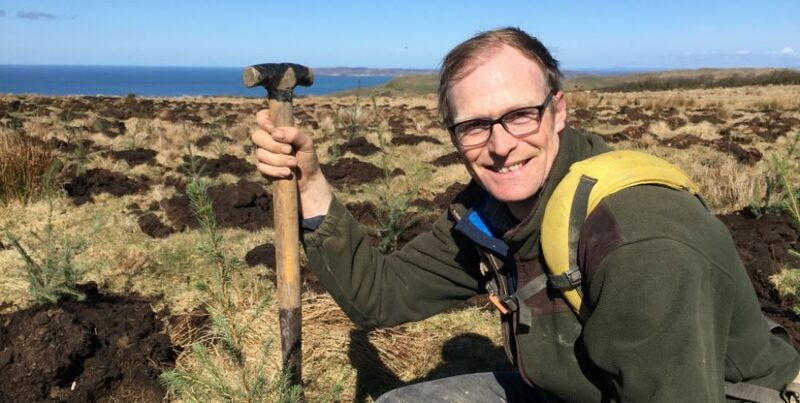 Still in Newtownards we meet for the first time vegetable grower Alex Lyttle, who’s sowing 35 acres of leeks at his farm on the shores of Strangford Lough. His farther Roy started the farm with just three acres planting scallions and they now have over 275 acres of vegetables and cereals. Alex has always wanted to farm and has studied farming and worked abroad before coming home to Newtownards. UTV’s Mark McFadden narrates the series, sponsored by Dale Farm, Rare Breed – A Farming Year continues on Thursday 7th February 2019 at 8.30pm on UTV.